Look your best in this fashionable and trendy crew neck top that featues a left chest pocket with a zipper for secured storage. 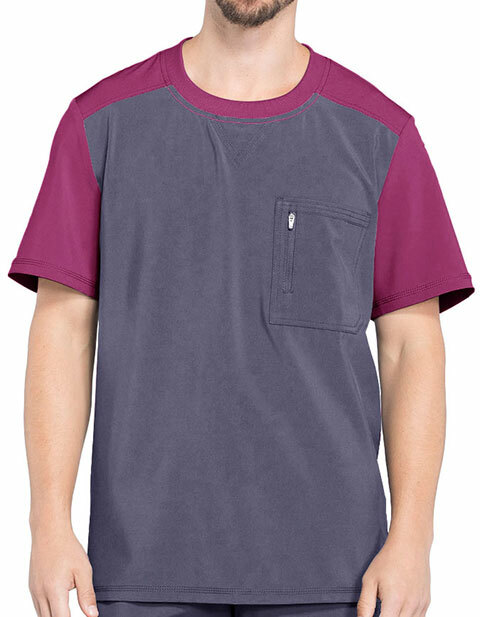 The CK630A is made of polyester and spandex poplin blend and is triple-needle topstitching for your comfort. The colorblock crew neck top also features front and back yokes.